On an unseasonably warm Easter Sunday, a young girl namedIvy discovers a chilling secret in the basement of the Rumbaughpharmacy across the street from the hotel where she lives withher mother. The discovery reveals a disturbing side to theeccentric lives of family friends Abner and Adolph Rumbaugh,known throughout their small western Pennsylvania townsimply as the Twins. 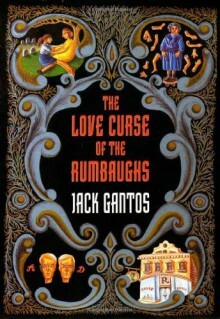 It seems that Ab and Dolph have beencompelled by a powerful mutual love for their deceased motherto do something extraordinary, something that in its owntwisted way bridges the gap between the living and the dead.Immediately, Ivy's discovery provokes the revelation of aRumbaugh family curse, a curse that, as Ivy will learn over thecoming years, holds a strange power over herself and her ownmother.In his third book for young adults, Jack Gantos has scripted acompletely original drama. With gothic flavor and black humor,he depicts a group of people bound together by love,compulsion . . . and a passion for taxidermy. This was NOTHING like I thought it would be from the synopsis. This book was just too bizarre. I'm not even sure what the purpose of the book was supposed to be. I am all for dark books, but gross! Fortunately it was a short listen.